As strange as it may seem, it looks like our favorite way of passing time underwater turns our bodies into a calorie burning furnace. No heavy lifting… no unpleasant stretching… and definitely no skimpy spandex pants required. I remember years ago being told that you burn, “a lot”, of calories while scuba diving. Like most dive instructors, I have been passing along that nugget of information to my students and fellow divers ever since. 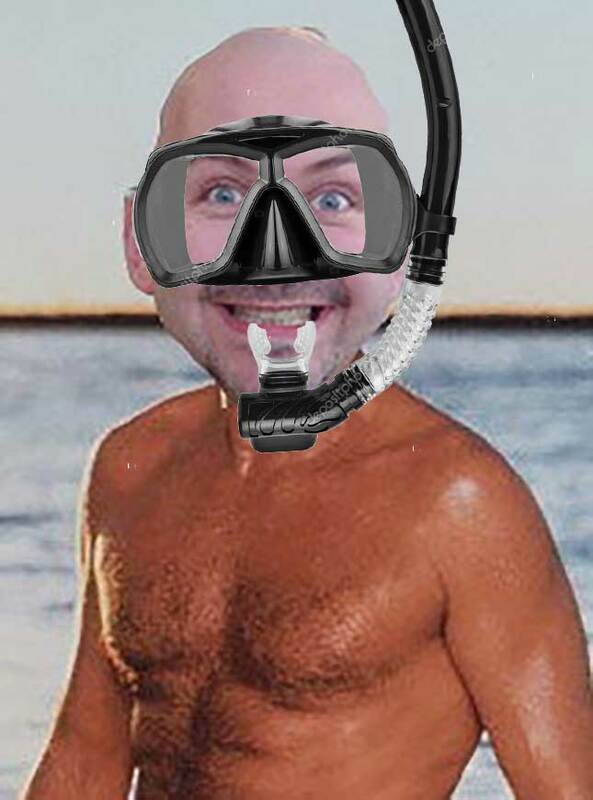 However, it occurred to me that I may have heard that you burn calories while diving, but I had no proof that it was actually true apart from my own personal experience. Are you sitting comfortably, then read on lovely blog follower and bask in the glow of enlightenment. 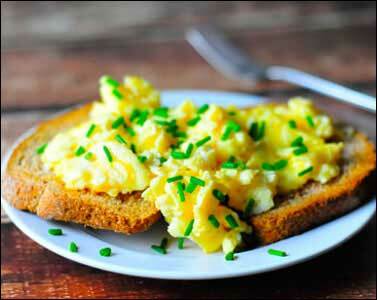 What you eat for breakfast before scuba diving is important. Certain foods will give you an extended boost of energy and stop you feeling hungry for longer. Bananas, eggs any style, whole wheat toast and any types of pulses and grains give you slow release energy and keep you healthy, scuba diet or not. Staying hydrated and avoiding acidic drinks will also help you feel better if you suffer from travel sickness. In 2006 I was a comfortably rounded worker in the IT sector. Not the fittest of people and certainly not a candidate for the cover of GQ magazine… possibly the cover of Pie Eaters Weekly. At around 95Kg I was pushing a fair amount of neoprene through the water and was pretty much everyone on the dive sites buddy. Moving to South East Asia for my PADI Instructor Development Course brought a radical change in lifestyle. Diving between 2 and 4 times a day, 5 days a week, quickly saw a sustained drop in weight to 78Kg… 17Kg in 3 months if arithmetic isn’t your thing. Aha! You say… but that’s just because you were working outside and not sat behind a desk. And maybe you’re right… but that’s the point, isn’t it? How much of that weight loss was due to diving and how much just because I was out and moving? I know what you’re thinking… I sound like a new age, yoghurt weaving, self-help article and I’m going to try to sell you something, right? I just wanted to find out if it is the same for everyone, or whether a few doses of Bali Belly were the main contributor. No chicken waving or dancing naked round the campfire required… although if that’s your thing, knock yourself out! Turns out that it’s quite a hot topic at the moment. Now that sounds like a lot of calories but Sandra Bullock and Jessica Alba swear by it apparently, so who am I to argue? Nature likes balance, and so does the human body. Our body should typically be 98 degrees Fahrenheit. In fact, 50 to 80% of your caloric intake is used just maintaining your body temperature. Unless you are diving in hot springs then it’s probable that the water you are immersing yourself in will be colder than you are. The colder the water, the more calories you are going to burn staying warm. This is compounded by breathing compressed air which cools as it enters the regulator and provides more cooling to the body. Diving generally requires holding yourself in a horizontal position in the water column whilst propelling yourself forward. This is pushing the core, legs and providing a certain amount of cardiovascular exercise. The bigger you are in muscle mass and/or fatty tissue, the more calories you will burn compared to a smaller person doing the same activity. OK, I paraphrased a little there but it’s true, you can look it up. How much energy does diving use? Unfortunately, there doesn’t seem to be any descriptions of what constitutes “moderate” and “fast” diving, so you have to draw your own conclusions. It would seem reasonable to relate that to how hard you are working on a dive whether fighting a current or dealing with stressful circumstance. Can I dive myself fit? 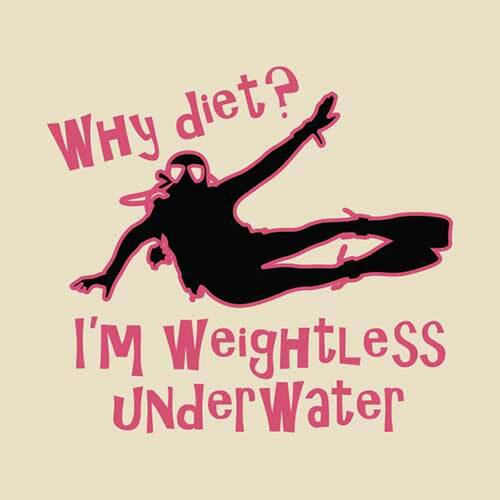 Whether you believe the Scuba Diet hype or not, diving does burn more calories than leisurely swimming. In fact, with our dives around Nusa Lembongan, Ceningan and Penida lasting between 45 minutes and an hour that’s equivalent to at least 2 hours of swimming… every day you go diving! Just because you’ll be burning calories, doesn’t mean that shouldn’t take care of yourself in other ways though. Always stay hydrated, avoid excessive alcohol the night before diving and take a light breakfast the day of the dives. If you are prone to sea sickness, avoid orange juice or other acidic drinks before going out on the boat. You’ve missed your calling as a writer Darren , you could add writer after biscuit dunker. A great read . I love this post Darren! It’s a great example of how fit scuba divers are 🙂 Thanks so much for sharing.